Objective: This project aims to identify and analyse the social, economic, legal, technological and ethical issues related to identity, privacy and security in the forecasted but not yet deployed Ambient Intelligence (AmI) environment. 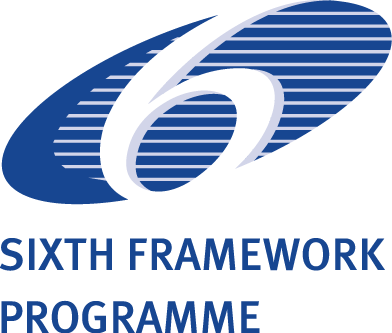 FP6 Project: IST Priority 8.1: Policy-oriented research (SSP): Integrating and Strengthening the European Research Area. 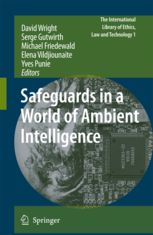 Friedewald, Michael, Elena Vildjiounaite, David Wright, Ioannis Maghiros, Michiel Verlinden, Petteri Alahuhta, Sabine Delaitre, Serge Gutwirth, Wim Schreurs, and Yves Punie, “Safeguards in a World of Ambient Intelligence (SWAMI): The brave new world of ambient intelligence – A state-of-the-art review”, Deliverable D1, January 2006. Punie, Yves, Sabine Delaitre, Ioannis Maghiros, David Wright, Michael Friedewald, Petteri Alahuhta, Serge Gutwirth, Paul de Hert, Ralf Lindner, Anna Agata Moscibroda, Wim Schreurs, Michiel Verlinden, and Elena Vildjiounaite, “Safeguards in a World of Ambient Intelligence (SWAMI): Dark Scenarios on Ambient Intelligence – Higlighting risks and vulnerabilities”, Deliverable D2, January 2006. Friedewald, Michael, Ralf Lindner, David Wright, Pasi Ahonen, Petteri Alahuhta, Barbara Daskala, Paul de Hert, Sabine Delaitre, Serge Gutwirth, Ioannis Maghiros, Anna Agata Moscibroda, Yves Punie, Wim Schreurs, Elena Vildjiounaite, and David Wright, “Safeguards in a World of Ambient Intelligence (SWAMI): Threats, Vulnerabilities and Safeguards in Ambient Intelligence”, Deliverable D3, 2006. Wright, David, Michael Friedewald, Pasi Ahonen, Petteri Alahuhta, Barbara Daskala, Paul de Hert, Sabine Delaitre, Serge Gutwirth, Ralf Lindner, Ioannis Maghiros, Anna Agata Moscibroda, Yves Punie, Wim Schreurs, Michiel Verlinden, and Elena Vildjiounaite, “Safeguards in a World of Ambient Intelligence (SWAMI): Final Report”, Deliverable 4, 2006. Friedewald, Michael, and David Wright, “Safeguards in a World of Ambient Intelligence (SWAMI): Report on the Final Conference, Brussels, 21-22 March 2006”, Deliverable D5, 2006. Wright, David, and Michael Friedewald, “Safeguards in a World of Ambient Intelligence (SWAMI): Report on Dissemination Activities”, Deliverable D6, 2006. Wright, David, “The dark side of ambient intelligence”, Info: The journal of policy, regulation and strategy, Vol. 7, No. 6, 2005, pp. 33-51. Friedewald, Michael, Olivier Da Costa, Yves Punie, Petteri Alahuhta, and Sirkka Heinonen, “Perspectives of Ambient Intelligence in the Home Environment”, Telematics and Informatics, Vol. 22, No. 3, 2005, pp. 221-238. Friedewald, Michael, Elena Vildjiounaite, Yves Punie, and David Wright, “The Brave New World of Ambient Intelligence: An Analysis of Scenarios regarding Security, Security and Privacy Issues”, in John A. Clark, Richard F. Paige, Fiona A. C. Polack, and Phillip J. Brooke (eds. ), Security in Pervasive Computing. Proceedings of the Third International Conference, SPC 2006, York, UK, April 18-21, 2006, Springer, Berlin, Heidelberg, New York, 2006, pp. 119-133. Wright, David, Serge Gutwirth, and Michael Friedewald, “Shining Light on the Dark Side of Ambient Intelligence”, Foresight: The Journal of Future Studies, Strategic Thinking and Policy, Vol. 9, No. 2, 2007, pp. 46-59. Friedewald, Michael, “Ubiquitous Computing: Ein neues Konzepts der Mensch-Computer-Interaktion und seine Folgen”, in Hans Dieter Hellige (ed. 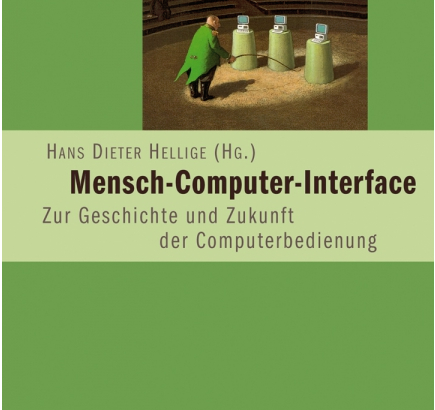 ), Mensch-Computer-Interface: Zur Geschichte und Zukunft der Computerbedienung, Transkript Verlag, Bielefeld, 2008, pp. 259-280. 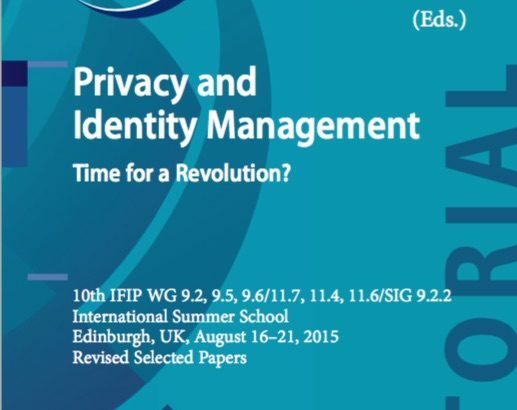 Vildjiounaite, Elena, Tapani Rantakokko, Petteri Alahuhta, Pasi Ahonen, David Wright, and Michael Friedewald, “Privacy Threats in Emerging Ubicomp Applications: Analysis and Safeguarding”, in Soraya Kouadri Mostéfaoui, Zakaria Maamar, and George M. Giaglis (eds. ), Advances in Ubiquitous Computing: Future Paradigms and Directions, IGI Global, Hershey, PA, 2008, pp. 320-351. The concept of Ambient Intelligence (AmI) provides a vision of the Information Society where the emphasis is on user-friendliness, efficient and distributed services support, user-empowerment, and support for human interactions. People are surrounded by intelligent intuitive interfaces that are embedded in all kinds of objects and an environment that is capable of recognizing and responding to the presence of different individuals in a seamless, unobtrusive and often invisible way. This vision of AmI places the user at the centre of future development. Technologies will be designed for people rather than making people adapt to technologies. The objective of this roadmapping project was to understand how different Ambient Intelligence technologies might affect digital divides and to depict scenarios that enable us to think about them in a dynamic, flexible and prospective way. It was therefore not the aim to provide concrete solutions to digital divide problems. It was neither only about technologies that are user-friendly. The project rather raised the potential of full IST integration in our everyday lives, taking into account the key socio-cultural, economical and technological issues affecting trusted and universal access to AmI@Life. Friedewald, Michael, and Olivier Da Costa, “Science and Technology Roadmapping: Ambient Intelligence in Everyday Life (AmI@Life)”, Institute for Prospective Technology Studies, Seville, 2003. Da Costa, Olivier, Mark Boden, and Michael Friedewald, “Science and Technology Roadmapping for Policy Intelligence: Lessons for Future Projects”, in Martin Potůček, and Barbara Slintáková (eds. ), The Second Prague Workshop on Futures Studies Methodology, CESES FSV UK, Prague, 2005, pp. 146-161. Da Costa, Olivier, and Michael Friedewald, “Ambient Intelligence 2020”, in Susanne Giesecke, Patrick Crehan, and Stephan Elkins (eds. 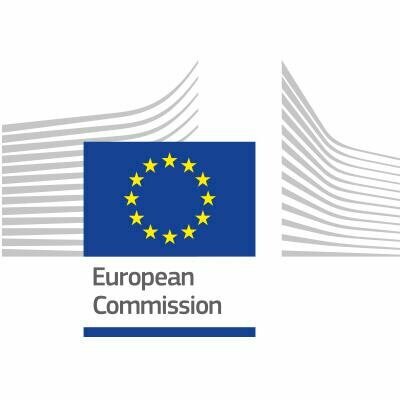 ), The European Foresight Monitoring Network: Collection of EFMN Briefs, Part 1, Office for Official Publications of the European Communities Luxembourg, 2008, pp. 343-345.